I periodically get phone calls from bug phobic clients. 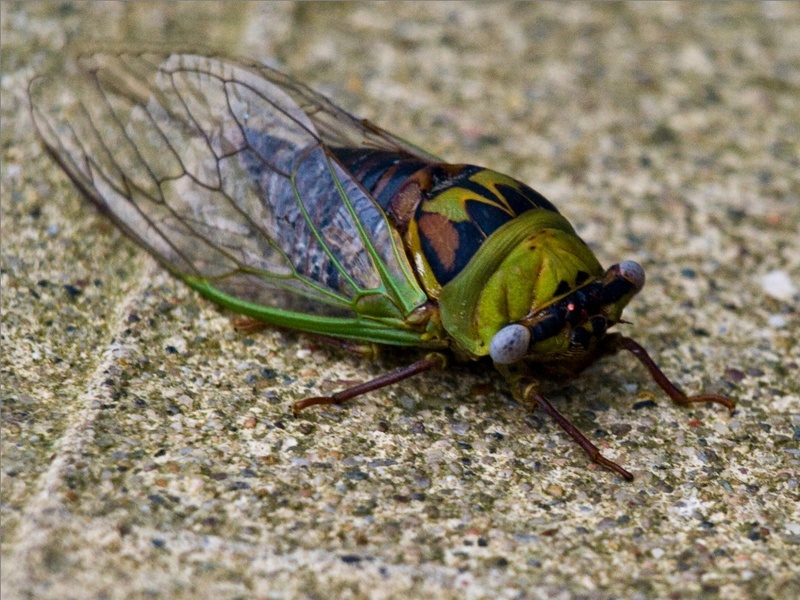 Right now the supposedly pending cicada invasion has Baltimore area residents worried. I’m happy to report that Baltimore is expected to see very few from “Brood II” this year — in Maryland this cohort of cicada beasties usually strikes on the Eastern Shore and Southern Maryland. “Brood X” is the group that hit Baltimore in 2004 and has large numbers locally. See the article link below for more on this. It is, however, always a good time to deal with fears. Of course, there MAY be a few of them… there are every year… then there are always stick bugs to (not) think about. So then, you ask, how does one deal with fear of cicada, bugs, or most other phobias? Systematic Desensitization: This involves very gradual exposure to forms of the phobia starting with the less severe and working up to the more severe. The therapist and client together develop a rating scale from 1 (least severe) to 10 (most severe) of scary events. So — for cicadas — a 1 might be talking about them, a 3 might be seeing a black and white photo of a cicada, a 5 might be hearing a tape recording or YouTube recording of their buzzing, a 7 might be watching them swarm outside from the safety of a window, and a 10 might be walking through crunching bodies and having them land on you. If the therapist proceeds too quickly up this scale you are of course going to head for the door… so communication is key. Coupled with this scale is a form of relaxation — usually meditation or guided visualization. So you might learn a relaxation technique, look at the black and white picture, then relax again. This would be repeated until looking at the picture is sufficiently not scary to be able to move a notch up the scale. NLP & Hypnosis Techniques: A number of Neuro-Linguistic Programming (NLP) and hypnotic methods can be helpful. One technique I utilize is to relax the client, “distance” them from the experience (like watching themselves sitting in a theatre watching a fuzzy black and white movie), and then do things to the feared image in the “movie” to mess-up its ability to be scary. We can also go back in time in a light hypnotic trance to a scary memory — but this time go in confident as an empowered adult, and say aloud or do things you wish you could have done originally. A new understanding of the memory and its meaning can be found. In the course of treating phobias I look for other conditions that are often present. Maybe the phobia is the result of traumatic experiences that have caused PTSD or difficulties dealing with people and other situations as well as the presenting phobia. 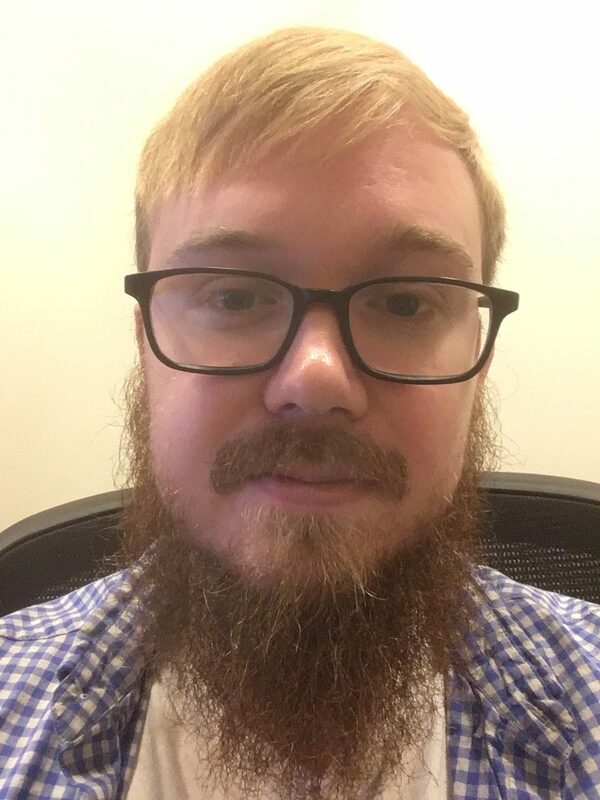 Maybe there is depression present as well. We can explore the broader issues and get you the help you need. Anyway, back to cicadas… Here is a link to an article saying it may not really be so bad this year! 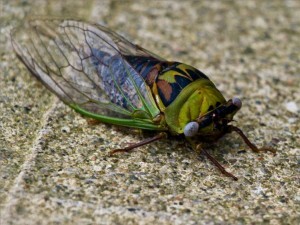 Stop the Cicada Madness, Already!